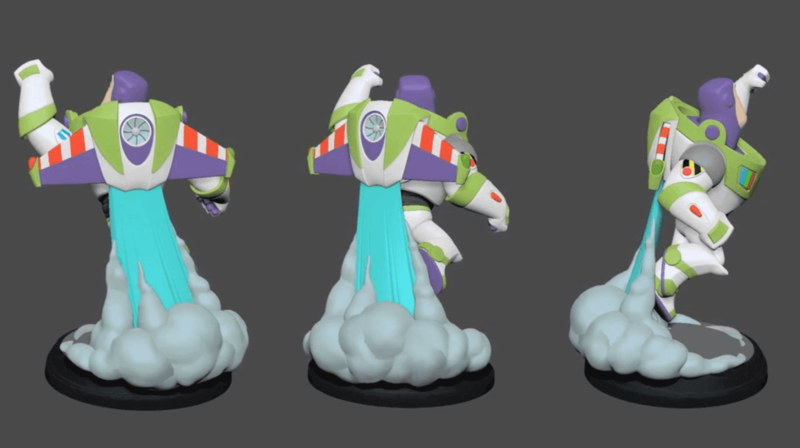 The Light FX figures I’d have to say have been a huge success for Disney Infinity. Some various issues aside, fans are loving the light up abilities of these figures. But one major request/disappointment regarding the figures is how they don’t light up unless they are placed on the Disney Infinity base while playing the game. There are some alternatives, like using a Skylanders or other NFC base that is connected to a “major” powered source (like a TV or any gaming system). But again that still requires it to be plugged in and the other device to be turned out (because just plugging a base into the wall doesn’t power any of them on). But at least that’s an improvement over using the Disney Infinity base that only turns on when the Disney Infinity game is launched. (Which for the game, makes much more sense than Skylanders old ways of just powering up whenever your console is connected). You can also get a wireless Skylanders base that will work, but those only stay powered on for a few minutes to not waste battery life. But if you want to break your figure base, there is an alternate way to get them powered. My end goal was to make them independently powered using AA or AAA batteries while glowing inside the Power A figure globes. NOTE: This isn’t really a ‘tutorial’ as much as a proof of concept. So if you don’t feel comfortable breaking the figure bases and stripping the wires, don’t attempt this process. It’s much easier to explain in video than to write it all out. But to conquer it like I did, you will have to break the “black” part of the base off to get to the wiring. Once you have access to the wiring, you can connect the wires to a battery pack (Here is the one I used) through the base of the Figure globe. Once those get attached, put two AAA batteries in the case and you’re off to the races! For those of you who are great with their hands for this kind of modding, I hope this helps, for those that aren’t… well I hope you can still enjoy the video and the process. 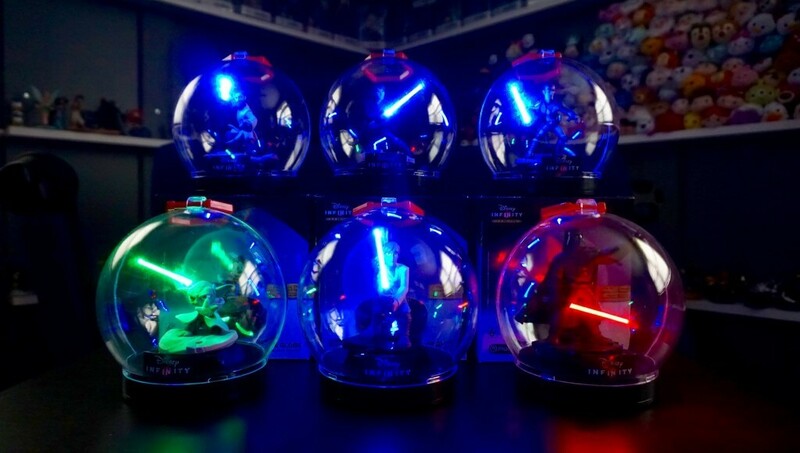 If you are looking to pick up the Light FX figures, here are the six available and where to get them…. Be sure to stay tuned to InfinityInquirer.com as well as on Facebook and Twitter as I will launch a giveaway for the Light FX figures this afternoon!